The NFL Draft has come and gone and the Dallas Cowboys will begin gearing up for their rookie mini-camp, mini-camps, and OTAs as they inch closer to training camp. Though the most exciting part of the player acquisition process is completed, there is still work that can be done through free agency to address the holes on the roster. Here are five free agents that the team could sign to improve the roster. Probably the best free agent that fits a need for the Dallas Cowboys, Johnathan Hankins would be a tremendous addition to the Cowboys' defensive front seven. At 6-3, 320lbs, Hankins immediately becomes your starting 1T defensive tackle, or nose tackle. 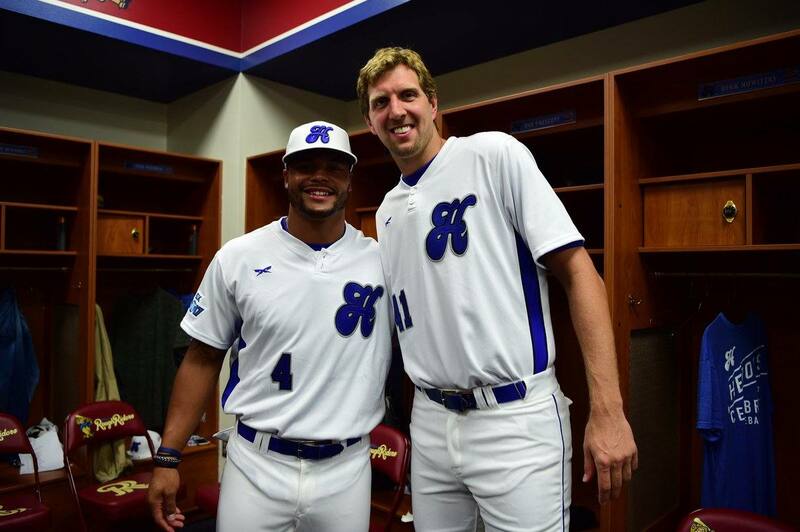 He would be that big guy in the middle that the Dallas Cowboys desperately need to help their run game. In the last four seasons, Hankins has only missed eight games, seven of which were in 2015. In the other three seasons, he started 47 out of 48 games and just turned 26 this past January. In 2014, his second year in the league, Hankins had 7 sacks. Though he hasn't been able to reproduce that number, he's still a force against the run. It's surprising that a player with Hankins' experience, production, and youth hasn't been snatched up at this point in the offseason, but perhaps teams wanted to see what they were going to do in the draft before going after the former Colt and Giant. As a Cowboys fan, I remember Hankins being a load for the Dallas Cowboys offensive line to handle. 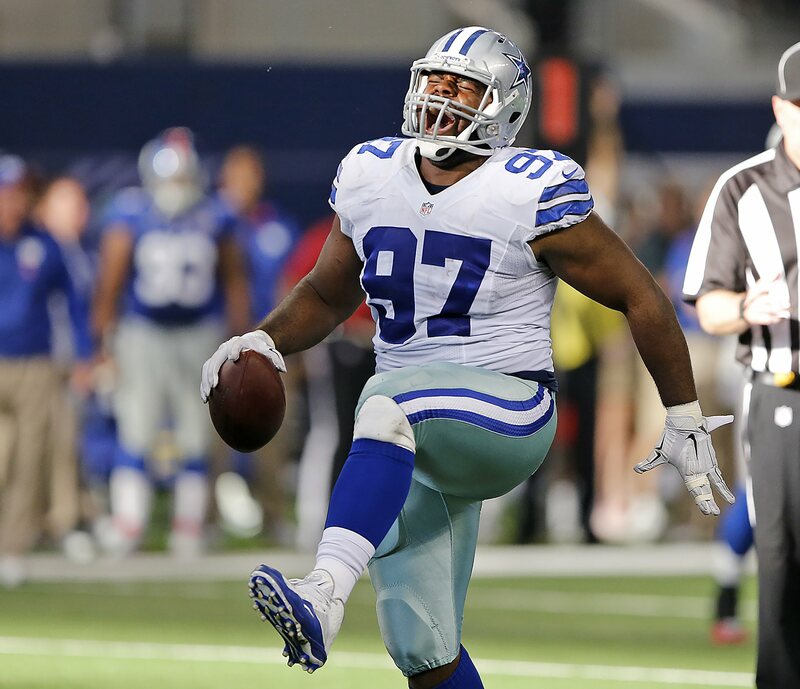 Over seven games against the Dallas Cowboys, Hankins averaged three tackles a game against Dallas' vaunted offensive line. The former Dallas Cowboys defensive tackle, now former Washington Redskins defensive tackle, had the best season of his career in 2016 with the Cowboys. McClain turned that into a four-year deal with Washington, though he only saw one year of the deal. After breaking out with 39 combined tackles, 2.5 sacks and starting 15 games for the Cowboys in 2016, McClain only started two of the 12 games that he played in 2017. Recently released by the Redskins, it's being reported that the Dallas Cowboys are looking into the possibility of reuniting with McClain. Given his injury history, I'd be interested in McClain on a one year deal with some incentives for games played and tackles. If he stays healthy and produces, he gets paid, if not, you aren't risking much. McClain will turn 30 in July, but he has the size and skill to fill in at 1T if needed. NaVorro Bowman is still a free agent, though it's unclear if he's planning to play anymore. As a midseason addition for the Oakland Raiders, Bowman, 30 years old, started 10 games and racked up 89 combined tackles, 1.5 sacks, and an interception. 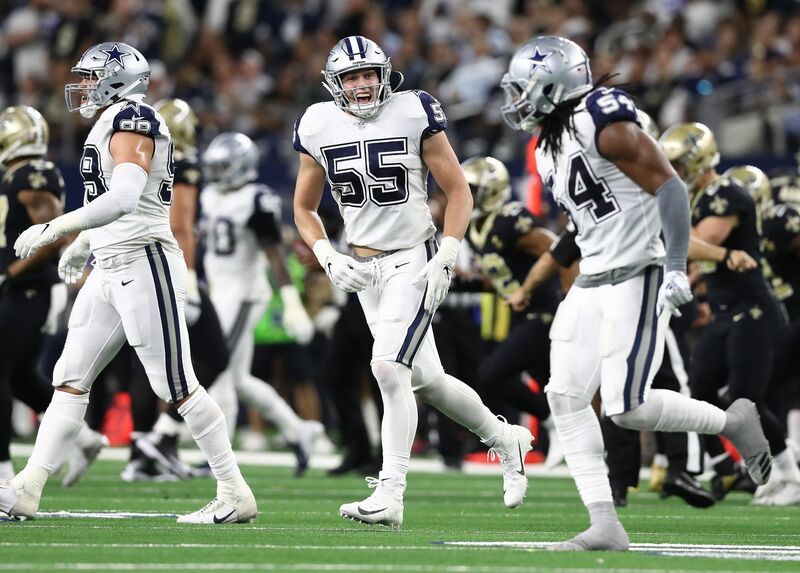 Though it's unlikely the Dallas Cowboys would sign Bowman with the intention of starting him, he'd be a valuable backup at linebacker with the injury history and risk of the top three linebackers on the depth chart; Sean Lee, Jaylon Smith, and newest Dallas Cowboy, Leighton Vander Esch. Bowman's experience and versatility would give tremendous insurance to a team that is a contender in 2018, if they get some injury good luck. The Cowboys have some interesting prospects in the likes of Justin March-Lillard, but if they want to guarantee they don't see a huge drop off with an injury or two, Bowman would be a great addition. If the reports are true that Jason Witten is retiring to join the Monday Night Football crew, the Dallas Cowboys would have a gaping hole at the tight end position. Sure, guys like Dalton Schultz, Geoff Swaim, Blake Jarwin, and Rico Gathers have some potential, and as a group could fill the void left by the future Hall of Famer. All it is right now is potential, though. Antonio Gates is no spring chicken at 38 years old, but could be a nice receiving complement to those guys and a mentor for the tight end room. 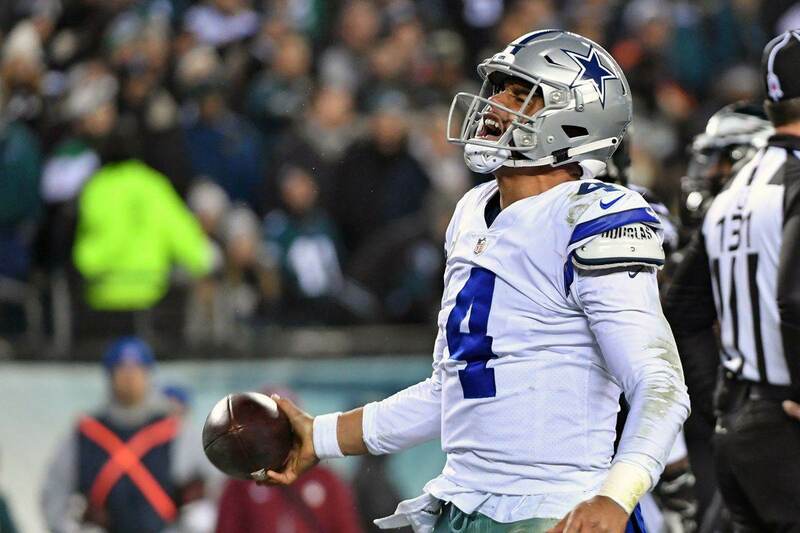 Gates wouldn't command a long-term deal at big money, but he could be a nice experienced red zone threat for Dak Prescott and the Dallas Cowboys offense. Even in a part-time role for the Los Angeles Chargers in 2017, Gates caught 30 passes for 316 yards and three touchdowns. Not spectacular, but he provides a threat in the passing game. If they didn't go this route, I wouldn't blame them. The Dallas Cowboys are getting younger all the time, but Gates could be a valuable addition to the tight end group. Eric Reid is a controversial player around the NFL. The former San Francisco 49er brought a lot of controversy upon himself when he decided to kneel along with Colin Kaepernick during the National Anthem. Reid started 12 games for the 49ers and ended up with two interceptions and 64 combined tackles. It's really unlikely that the Dallas Cowboys would pursue Reid without some sort of agreement that he wouldn't kneel during the anthem as a member of the Cowboys, but he would provide nice depth for a safety group that looks only three deep at the moment. Jeff Heath, Kavon Frazier, and Xavier Woods are a nice group, but Reid would make them better. He's good in coverage and could rotate with Woods at the free safety spot. Reid won't turn 27 until December of this year and could make an impact if the team doesn't acquire Earl Thomas. The Dallas Cowboys have done an excellent job through the first part of free agency and the draft to get their team ready for training camp and the 2018 regular season, but as they always say, player acquisition is a 365 day proposition. There are still moves they can make to help their team. Some of these make sense, while others probably don't. Are there any free agents that you'd like to see the Dallas Cowboys take a run at?